Y’all should know by now that I love to eat. Aside from sharing my recipes, I share my dining out experiences in my Dining Diaries posts. Honestly though, I only share a small fraction of the restaurants I dine at. I’m trying to do better though as I’ve been eating at some really cool spots that I think you guys would love. I’ve also been seeking out more black owned restaurants in an effort to support more black businesses. 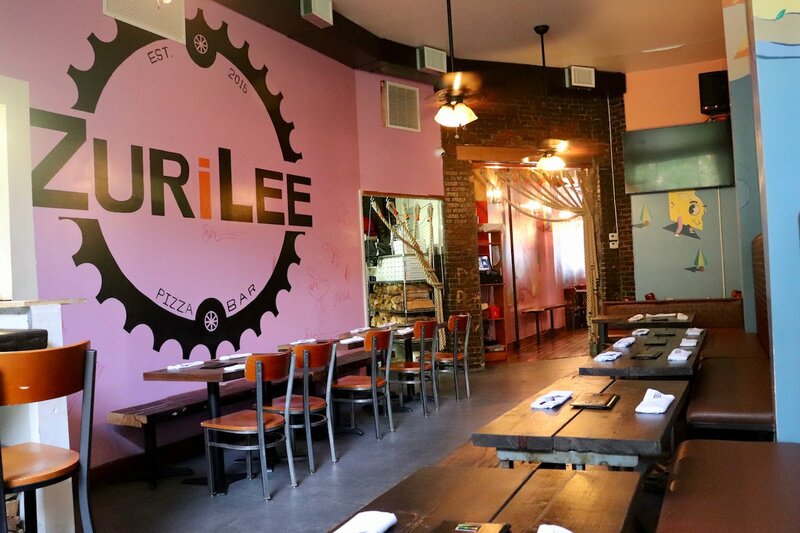 Today I bring you ZuriLee Pizza Bar, a little gem in Flatbush Brooklyn. 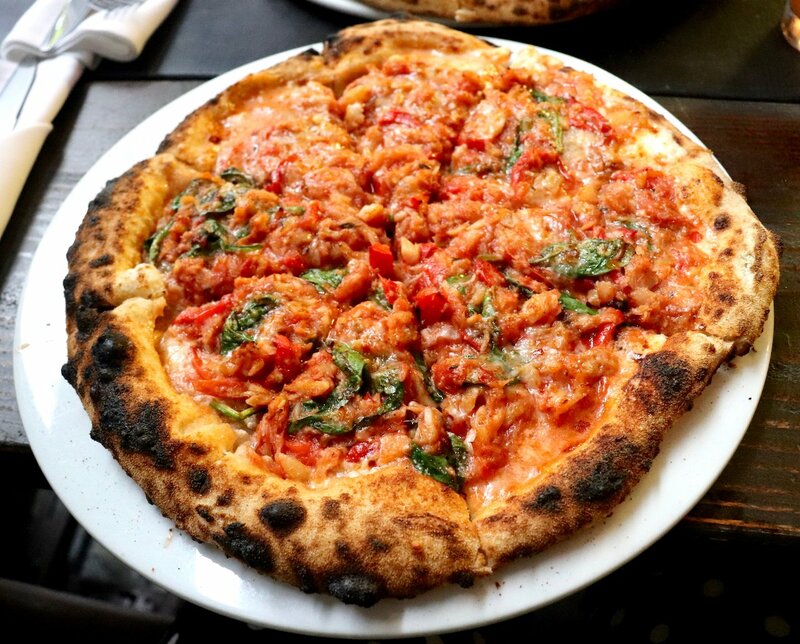 This is definitely not your run of the mill, basic pizza spot. 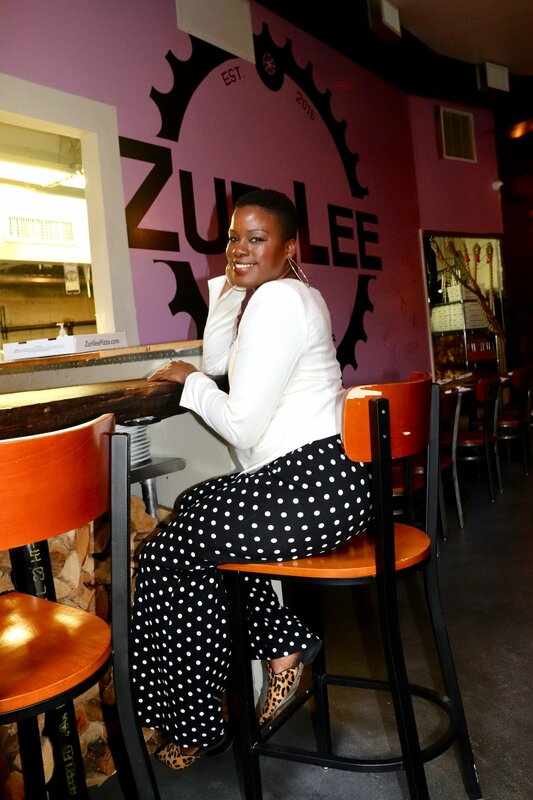 ZuriLee serves unique Caribbean inspired, wood-fired pies. Made with locally sourced ingredients. You won’t find these pies anywhere else in Brooklyn. Especially the Bake + Salt Fish. Probably not in New York period. At least not to my knowledge (let me know in the comments if you know otherwise). The Bake + Salt Fish, Da Jerk Chicken and The Oxtail pies are customer favorites. Speaking of the Bake + Salt Fish pie, this is what sent me running to ZuriLee in the first place. My eyes lit up and I started drooling when I saw it on the restaurant’s Instagram page. It did not disappoint. Salted Pollock combined with Straciatella and Grana Padano cheeses is a divine combination. 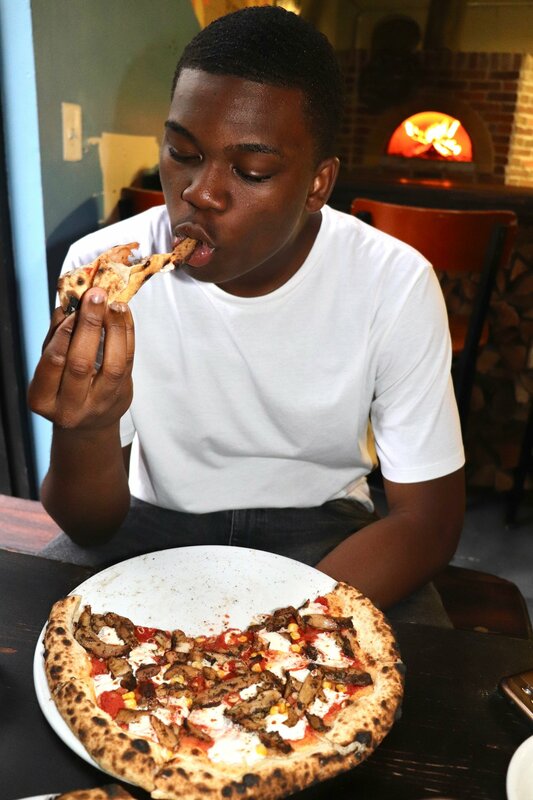 My son had Da Jerk Chicken pie and thoroughly enjoyed his pizza as well. It featured juicy jerk chicken with mozzarella and roasted corn. The pies were huge and we could only eat half before tapping out. We polished them off later that night though. And the pizza heated up nicely in the toaster oven. 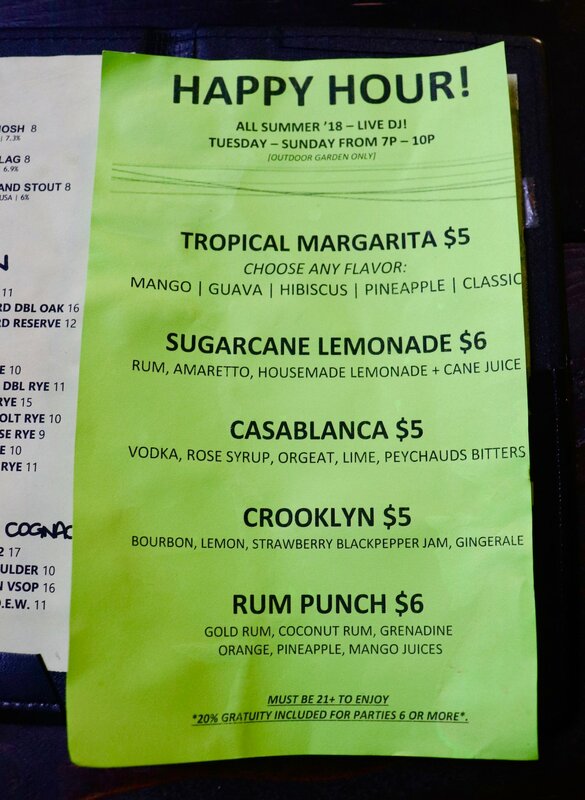 The Crooklyn cocktail paired perfectly with the Bake + Salt Fish pie. Something about the Strawberry Black Pepper Jam added an interesting but nice touch. 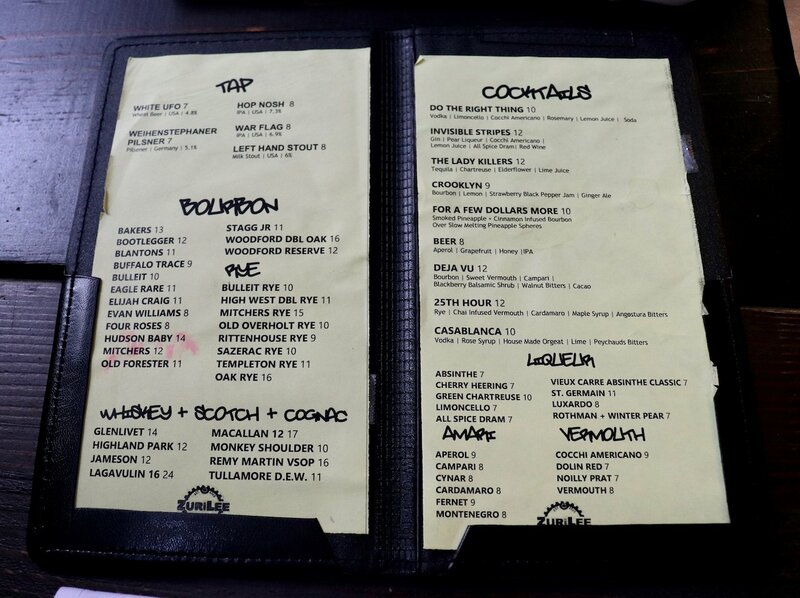 Along with crafted cocktails, the pizza bar has a nice bourbon collection and a beer draught system. 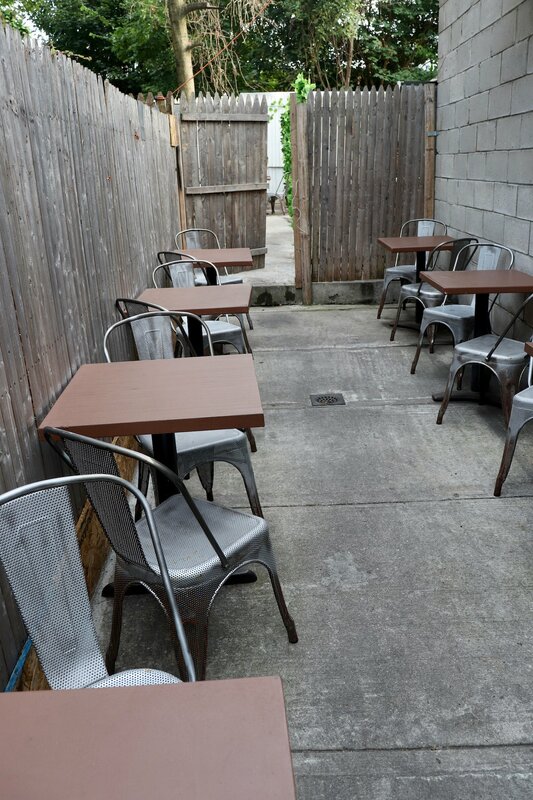 The Happy Hour drink selection is pretty cool but is to only be enjoyed in the outdoor garden… which is the perfect setting for a Summer night out! 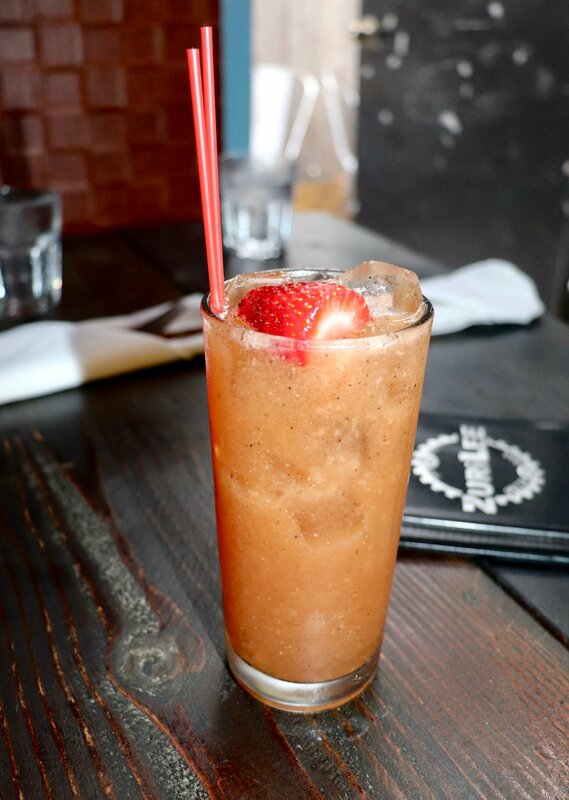 Not only is the food and drinks delicious, but the entire vibe at ZuriLee is mad chill. The interior decor is cute & cozy, and the outdoor garden adds a nice touch. It’s perfect for date night. In my case, a mom & son date! 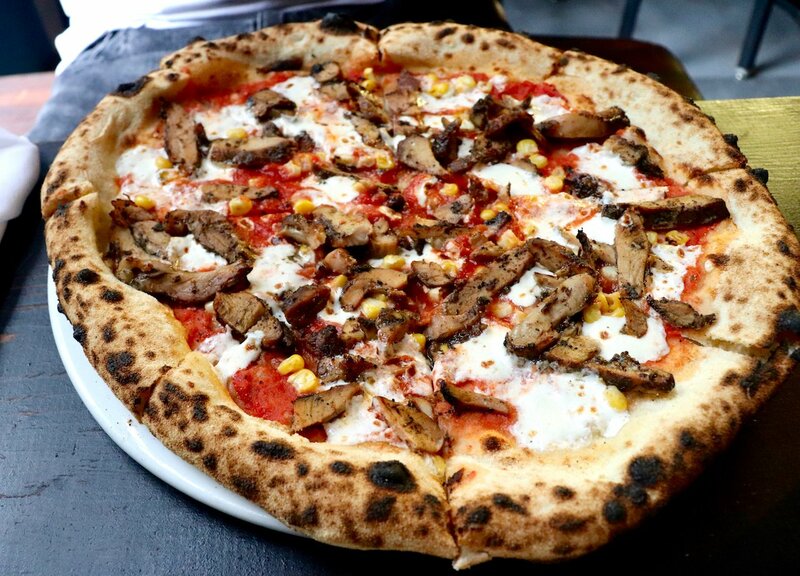 You guys should definitely keep Zurilee Pizza Bar on your radar. 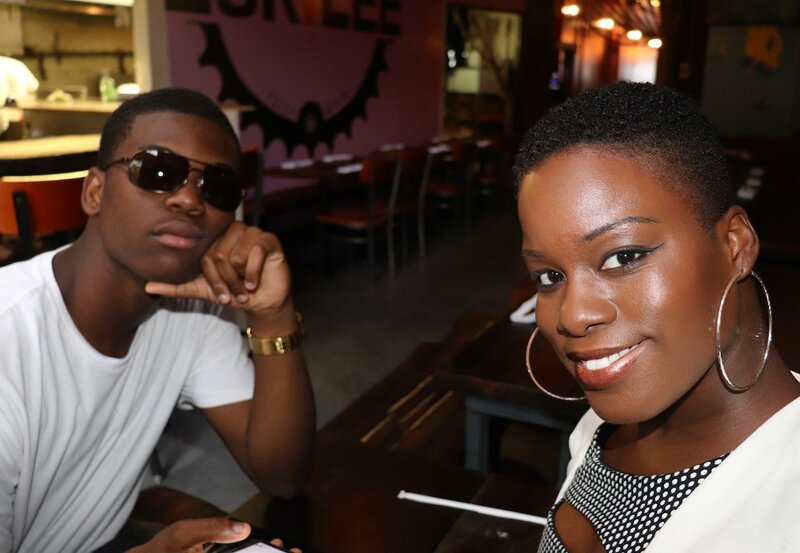 The owners also own MangoSeed, the Caribbean restaurant next door that’s been a neighborhood staple for years. I haven’t been but will be visiting soon. I’ll report back then! 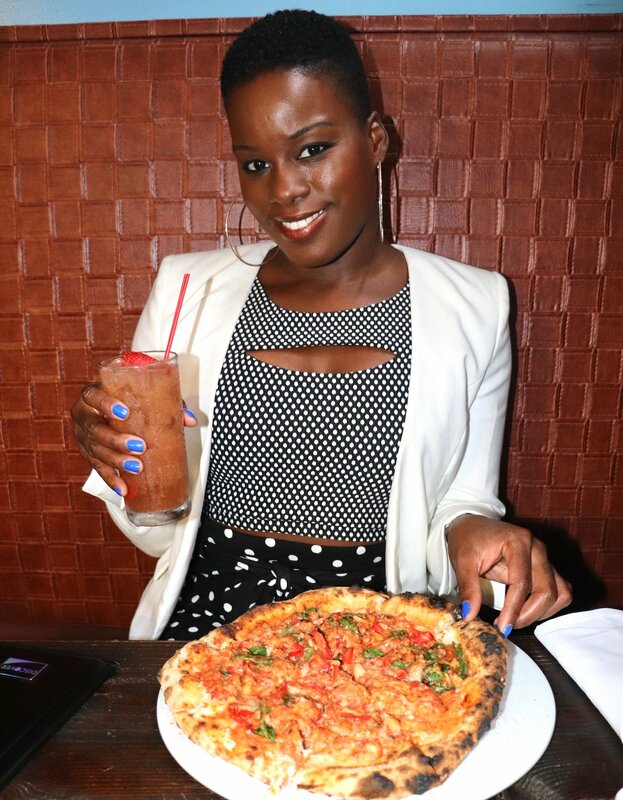 ZuriLee Pizza Bar is located at 755 Flatbush Avenue in Brooklyn.